Rarely used today, mantle field radiation is a type of radiation treatment used for Hodgkin’s lymphoma that helped boost cure rates in the 1960s. Radiation was delivered to a large area of the neck, chest, and armpits to cover all the main lymph node areas in the upper half of the body. A part of the lungs, heart and the shoulders were shielded from the radiation beam to reduce the side effects. The term 'mantle' is derived from the name of a garment, much like a cloak, used many years back. The shape of the exposed area—the radiation field—has contours that resemble the shielding cloak. This type of large radiation field is not commonly used today. However, a few decades back, when very effective chemotherapy for Hodgkin’s lymphoma treatment was not available, this technique was used to successfully cure a large number of patients with early-stage Hodgkin’s disease. With advances in treatment, chemotherapy regimens are now used in all patients and radiation is only delivered to a small area that initially had enlarged nodes — a technique called involved field radiation. Not to be confused with: Mantle cell lymphoma. Mantle field radiation has nothing to do with mantle cell lymphoma, a type of non-Hodgkin lymphoma. Back in the 1960s, Hodgkin lymphoma was as lethal as lung cancer is today, as noted by Hodgson in the December 2011 issue of the journal “Hematology, the ASH Education Program.” A technique known as extended field radiation therapy offered the first reliable cure for early-stage Hodgkin disease, but survivors had side effects from the radiation years later, or delayed toxicities, ​including heart disease and second cancers. When this became known, the work began to improve disease control while reducing toxicity. Improvements in radiation therapy delivery and its use together with modern chemotherapy are expected to result in big reductions in the incidence of late effects. 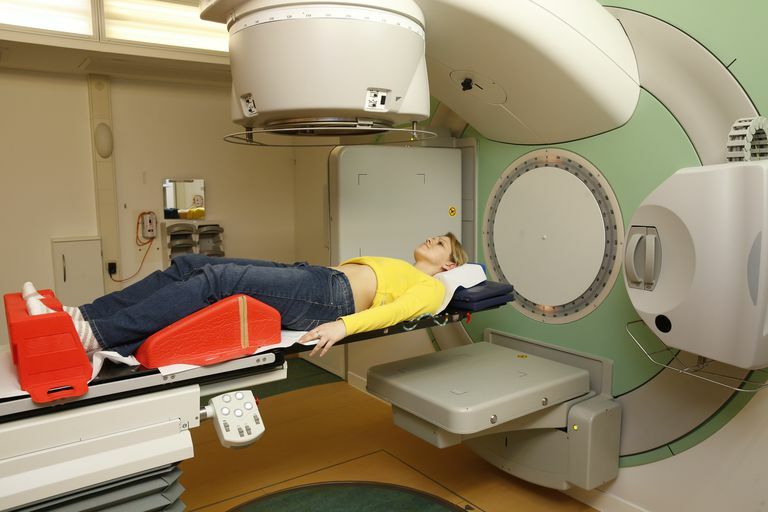 The risk of breast cancer following mantle field radiation therapy (RT) for Hodgkin lymphoma has been of particular concern. Mantle RT to lymph nodes of the armpits, chest, and neck—or axillary, mediastinal, and cervical nodes—is associated with a 2- to 20-fold increased relative risk of breast cancer, depending on the age at treatment. Most studies have found the risk is higher in females treated before the age of 20. Breast cancer accounts for almost 40 percent of second cancers among female survivors. Radiation may be damaging to the heart in a variety of ways. Some studies in animals have shown that radiation can provoke an inflammatory response that makes coronary artery plaques more likely to develop or more dangerous once developed. Another effect after radiation exposure may be thickening of the inside layer of some of the blood vessels that normally supply the heart muscle. Expert groups highlight the importance of screening at-risk patient types for late-emerging toxicities from Hodgkin lymphoma treatments of years past. Major changes in the chemotherapy and radiation therapy used to treat Hodgkin lymphoma over the last 10-20 are expected to result in very different side-effect profiles than what might be familiar based on current studies of late effects. American Cancer Society. Radiation therapy for Hodgkin disease. Schaapveld M, Aleman BM, van Eggermond AM, et al. Second cancer risk up to 40 years after treatment for Hodgkin's lymphoma. N Engl J Med. 2015;373(26):2499-511. Hodgson DC. Late effects in the era of modern therapy for Hodgkin lymphoma. Hematology Am Soc Hematol Educ Program. 2011;2011:323-9.